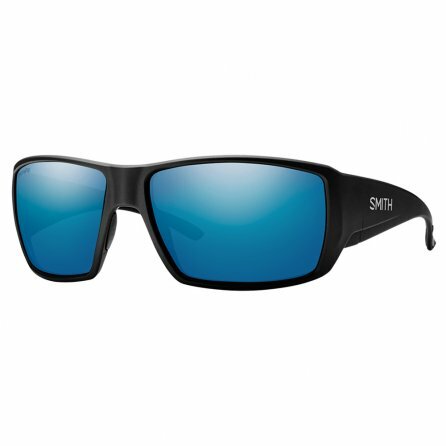 Going after big fish, big game, or just a big day, you want the Smith Optics Guides Choice Sunglasses on your face. The Evolve frames are an eight base shape that wraps around your face for full coverage of your peripheral vision, making these a great choice for the brightest conditions. Through the front, the scratch resistant Techlite lenses will protect you from 100% of UV radiation, but they also feature ChromaPop™ technology that filters out certain wavelengths of light to give you better color perception and enhance contrast for crisper vision.